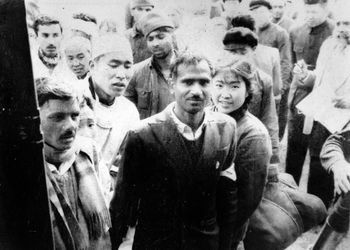 In October 2012, Nitin posted about 65 rare photographs dating back to the 1962 India-China War - dug out of archives by his friend Nitin Shastri. 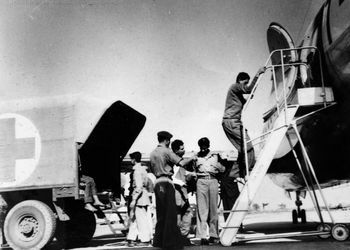 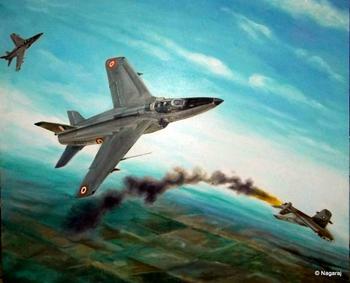 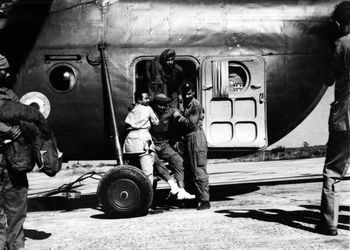 These photographs were mostly never seen before and offer a rare glimpse into the Indian Air Force's operations at that time. 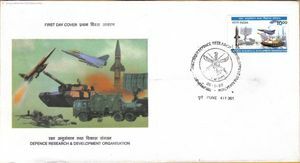 "A friend in Pune, Nitin Shastri, has painstakingly collected these photographs by cajoling and persuading functionaries at the Defence Public Relations and Films Division. 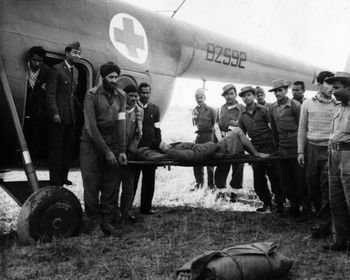 I am putting up these rare photographs in a hope that we will remember those grim days and take appropriate lessons from those years laeding up to the border clash that has left a deep scar on the collective Indian psyche." 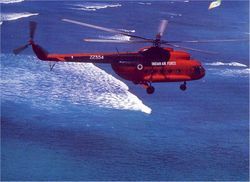 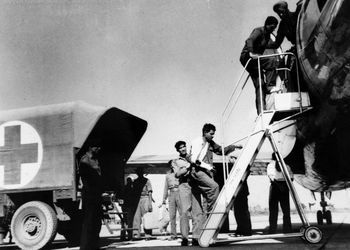 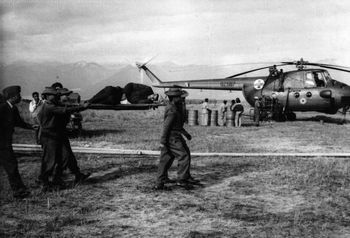 The photographs show IAF Mi-4 helicopters and the rare Allouette III sporting Red Cross markings - implying that this was a post-war photograph showing sick POW repatriations. 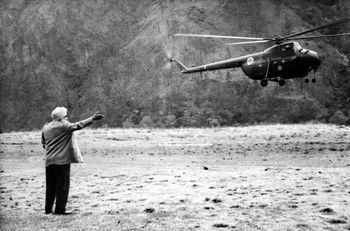 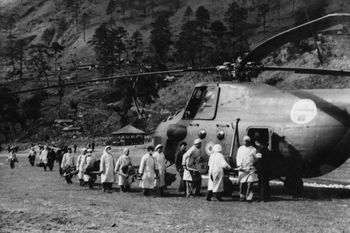 The numbers on the helicopters indicate that this was from No.110 Helicopter Unit, which as we know operated extensively in the North East in the Tawang sector. 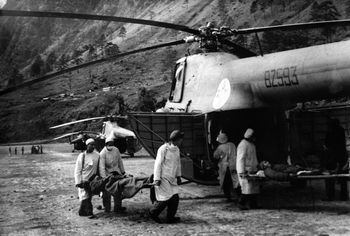 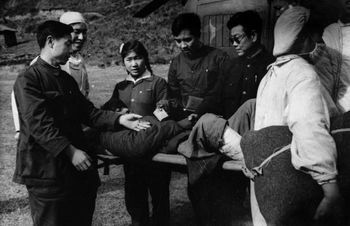 Medics loading Mi-4 BZ593 with stretcher borne casualties. 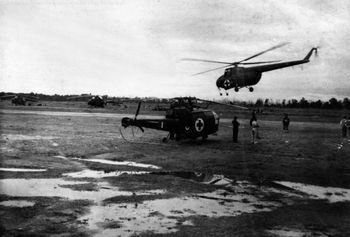 BZ587 in its second lease of life. 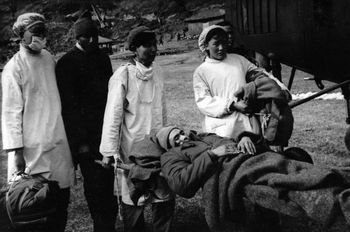 Unidentified Red Cross Medical personnel - either Indian or Chinese Origin during the exchange - Do you know anyone in the photograph?